Wearables are going to fly off the virtual shelves in the run-up to Christmas according to a new report from Argus Insights. And when it comes to splashing out on smartwatches and fitness trackers, research shows that price is seen as far less important than quality. This means that despite its higher price tag, the Apple Watch is the most sought-after device this year. 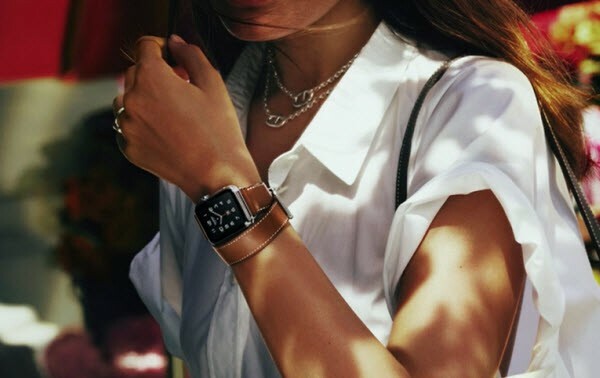 Times may be tough, but market analysts believe that shoppers are going to be willing to cough up for quality this holiday season, with high-end devices such as the Pebble Time Steel and LG Watch Urbane are expected to sell in large numbers behind the Apple Watch. Argus Insight's research shows that despite consumer interest in smartwatches, it is the fitness tracking feature that really sells wearables. The ability to check texts and make phone calls via a wearable are nice additions, but most people have features such as heart rate monitoring at the top of their list of essentials. As we approach Black Friday, Apple holds the top four places in terms of device desirability -- with the Apple Watch 38mm, Apple Watch Sport 38mm, Apple Watch 42mm, and Apple Watch Sport 42mm. Pebble Time Steel finds itself in fifth place. 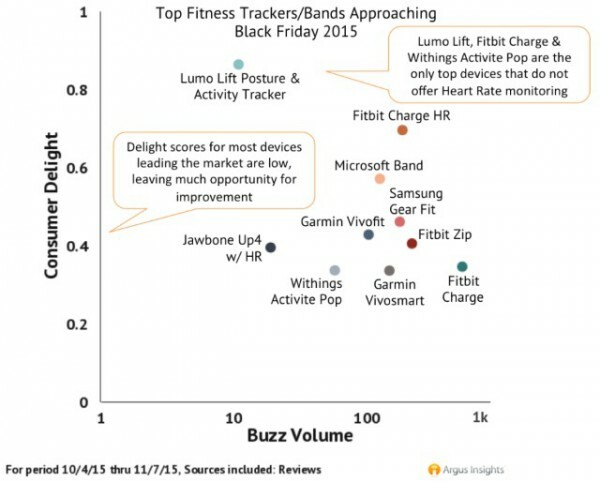 Looking at fitness trackers, the Lumo Lift Posture and Activity Tracker hits the number one spot, followed by the Fitbit Charge HR, Microsoft Band, Samsung Gear Fit, and Garmin Vivofit. After a slower than expected start, Apple Watch has tremendous momentum moving into the 2015 holiday season, topping our analysis of consumer preferences. Android Wear enabled devices have a strong showing but Samsung's absence from the top ten shows Samsung is still searching for what consumers are looking for. Even the new S2, Samsung's first round faced wearable lost out to the older Moto 360 and LG G Urbane. But while there is great interest in wearables, Argus insights found that there is a good deal of room for improvement. Apple's offerings are viewed as highly desirable and live up to the hype, but the same cannot be said about devices from Withings and Garmin. 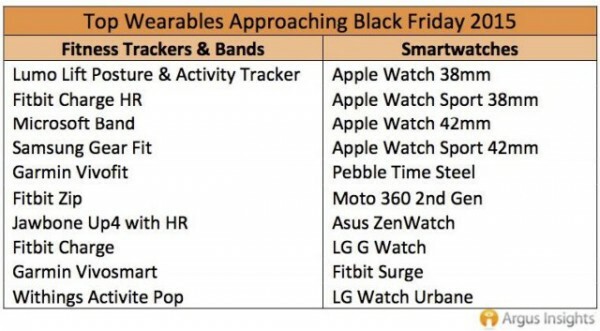 There are likely to be heavy discounts on wearables this Black Friday, but it seems that price is less of an issue for consumers leading to the conclusion that "a lower price will not translate to consumer preference".